If you found this page because you are looking for log splitters for sale, if you have never purchased one before, taking a few minutes to read this article could avoid you making an expensive mistake and getting the wrong tool for this job. Below you will find top tips to look for and how to identify which type of log splitter will be exactly right for your requirements. When you are looking for log splitters for sale, you have obviously got some logs to split! Maybe you are finding that log splitting manually with an axe is too much for you – or maybe you no longer have enough time to do the job by hand. Many manufactures claim that you can do in an hour with a good log splitter what it would take you five times as long to do with an axe so for the time saving element alone, buying one of these machines is a good decision – but you need to get the right one! Log Splitters For Sale: Should I Choose Petrol or Electric? 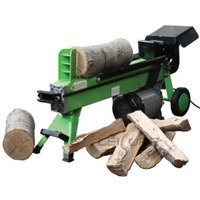 An electric log splitter makes the perfect choice if you are just splitting logs for your own use at home. They are very simple to operate and require almost no maintenance because the hydraulic pump is powered by an electric motor. You just plug it in and away you go. There are obviously disadvantages of using electric power, not least because you are restricted as to where you can use them (within reach of a power socket) and their power is limited, generally only capable of delivering about 2.5 HP. Electric log splitter in operation. Note that two hands are required to operate the machine, keeping hands away from the blade (see safety features to look for below) and that the simple wedge that splits the logs in two necessitates re-loading the log to be split again. Do you want a horizontal or a vertical log splitter? With a horizontal splitter, you lift your log into the cradle and the hydraulics of the machine press a wedge into the wood, splitting it so that the pieces fall to either side. With a vertical splitter, the wedge presses into the wood from top to bottom so you have to position the log beneath the wedge for the wood to be split. 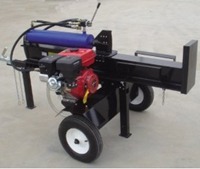 Some models can be used either as horizontal or vertical log splitters. The upside with a vertical splitter is that you do not have to lift heavy wood up into the cradle but the downside is that the log needs to be cut squarely enough to enable it to stand upright to be split. If you are likely to be working outside your yard on a sloping surface, a vertical splitter is the safer option. The “business end” of any good log splitter is the hydraulic cylinder that drives a ram which forces the wedge that will split your logs into the wood with great force. The force with which the ram drives the wedge is measured in tons so with an electric model, you should be looking for a force of between three and five tons as a good starting point. Petrol models can deliver a great deal more force. What length of log can the splitter deal with? Now look at the length of log that a log splitter can handle. Some of the very small models designed for home use really are a bit too small in my opinion. The length of the wood that can be cut is limited by the length of the hydraulic cylinder ramp and some of these really small ones can only split logs of 15 inches in length. For a general purpose machine look for one that can split wood of up to 50 cm (about 19 inches) in length. Of course if you are going for a professional machine, many of these can deal with wood over two feet in length. What diameter of log can the splitter deal with? 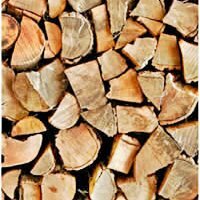 The next thing to check is whether the log splitter that meets all your criteria so far can deal with the thickness of log you are likely to want to split. Most of the models available for domestic users can cut wood up to 30 cm in diameter (up to a foot) – in my opinion, this is adequate for most purposes. If you want to go for a professional model check the size of wood it can handle – the very biggest and most powerful can deal with truly massive logs. What type of wedge do I want for log splitting? The wedge that splits the wood is a vital component. You will sometimes find this described as a ‘blade’. There are three basic types of wedge available. The first is the simple wedge which splits the wood in two in the same way as an axe blade. The second is the four-way wedge (see image below) which allows for each log to be split into four pieces instead of two. 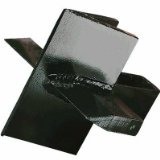 This works by driving a cross shaped wedge into the wood and this wedge can be supplied in addition to the basic wedge with some machines or can be bought as an addition. It is worth checking whether your machine can use this type of wedge as obviously, this makes the job much faster when splitting larger pieces of wood. The third type of wedge cuts logs into six pieces and is not found on machines available for the domestic user. These are only available on top-spec commercial log splitters. How important is it for you that your log splitter is easily portable? It is important to think about where you will be using your log splitter when checking out different log splitters for sale. Most units come with wheels to make them easy to move but the size of the wheel and the type will determine how easy your machine would be to move over rough or muddy ground if necessary. Another point to consider about portability is the overall weight of the machine. This might be important to you if you feel you would need a hand to get the machine into position before use and whether this factor might cause you problems if you could not use the machine when you wanted to because there was no help at hand! Last but not least, we come to the safety features. The basic safety equipment that you, as operator need when using a log splitter will be a helmet, safety goggles, stout gloves and working boots with toe protectors. Make sure that your outer clothing has no loose belts or material that could become caught and if you have long hair, tie it back safely before working with your machine. Check that the machine you are buying has a two handed safety switch which means that your hands are going to be kept safe and away from the wedge when the machine operates as both your hands need to be on the switches for the machine to operate. Another useful point to consider is when you are operating the machine, where do you need to be standing in relation to where the split logs will fall. I know this sounds a fundamental thing but you might be surprised to find that after ticking all the boxes you had to discount a machine because the split logs would fall on your foot! Before choosing any of the log splitters for sale – whether this is from an online or a high street retailer, check the availability of spare parts and that you know where you can get advice or service for your machine if necessary. You might also want to check what accessories are available as extras. For example, if you choose a horizontal log splitter, you might want to purchase a log lift which will lift your wood onto the cradle ready for cutting. I already mentioned above the cross-wedge which cuts logs into four pieces instead of the simple wedge which cuts them into two. I hope that in this article you have found enough information to make an informed choice when looking for log splitters. Please check back on the site and look in the site index as we will be reviewing a number of popular models over the coming weeks. 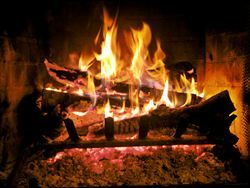 Once you have made a wise purchase, you will be able to sit in front of the fire on a winter’s evening, knowing that taking the time to read this article before going looking for log splitters for sale, saved you more than enough money to buy that nice bottle of single malt – just right for enjoying in front of a roaring log fire!